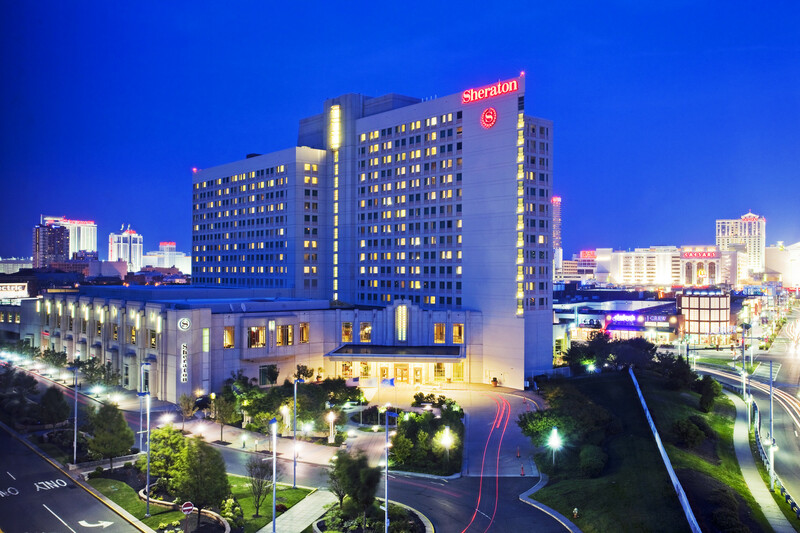 Sheraton Atlantic City is located right in the heart of the city, just a stroll from the famous boardwalk, casinos and myriad restaurants and within minutes of train, bus stations and the expressway. "The Walk", with over 160 retail outlet shops, is just next door. Warm colors and a spiraling staircase greet you in our spacious lobby, complete with the new Link@Sheraton experienced with Microsoft. We boast world's largest Miss America memorabilia collection, a sizeable Club Lounge, new Sheraton Core Fitness Center and stunning views. 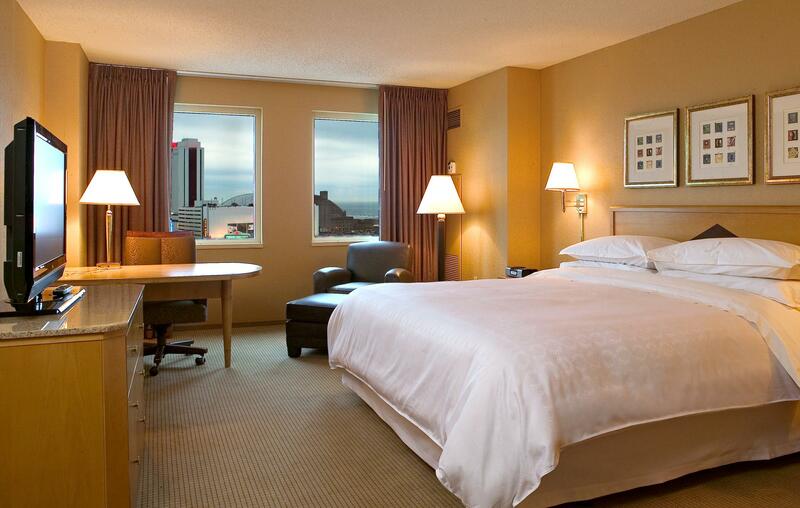 Our 502 updated, smoke-free guest rooms, including chic Club Rooms and luxurious Suites, all offer warm colors and crisp, pure-white bedding on our signature Sheraton Sweet Sleeper Beds. Plus, enjoy flat-screen TVs and the option of High Speed Internet Access. Ready to sit down an relax after a great day of golf, enjoy a freshly brewed micro brew at our Tun Tavern. 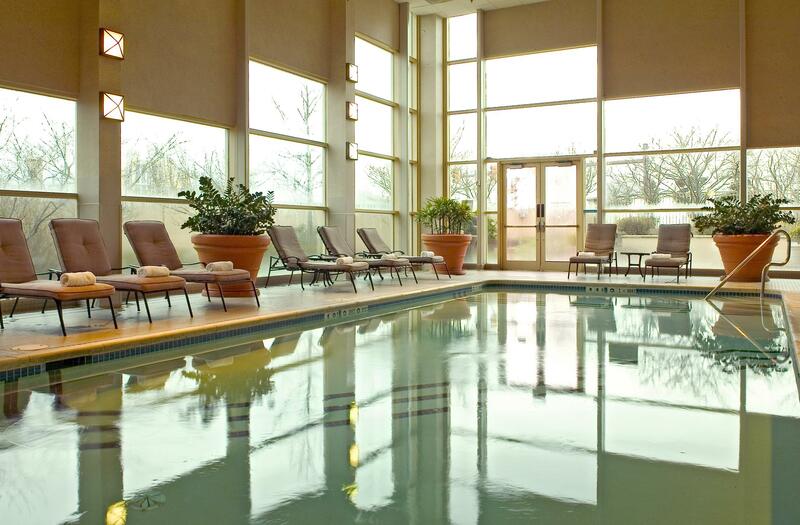 NOTE: Some of the amenities above may not be available in all rooms.